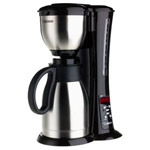 The Black & Decker TR1400SB comes in a stylish brushed stainless steel housing with black accents. The controls are labeled with icons indicating the bagel, defrost, reheat, and cancel settings. 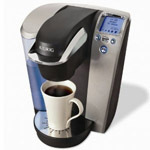 Handy features include a retractable power cord for easy storage and an auto-eject removable crumb tray. 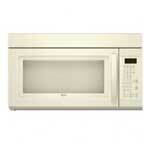 The toasting functions work reliably and satisfactorily. A sleek black toaster, the T-fal TL6802002 digital toaster looks like an appliance from the future, with its extra-long slots that accommodate two slices of bread or bagels. We liked the digital countdown that lets you know exactly when the toast will be ready. 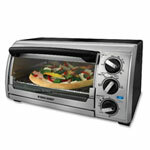 Even better, the slots self-adjust for bread thickness, so bread comes out evenly toasted every time. A 4-slice metal toaster with one and a half inch slots, the KitchenAid KMT423CU has five browning options and an LCD display. If you’re the impatient type, the digital progress bar lets you know exactly how much longer you have to wait. A ringing sound lets you know when it’s done. With a sleek black housing that stays cool, the Waring Professional Cool Touch Toaster has wide 1.3 inch slots that prevent bagels and English muffins from getting jammed. 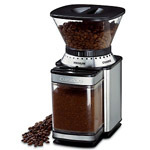 The slots are also self-centering to allow for even toasting. We appreciated the simplicity of the design and the way the toast is lifted high enough for easy removal. Best of all, the crumb tray slides all the way out. With a retractable cord and one-touch bagel and cancel settings, the Oster 3905 keeps things simple with two dials and levers. The slots are extra wide to accommodate even thick artisan bread, and the removable crumb tray is dishwasher safe. Most importantly, it toasts bread and bagels evenly on both sides. For a reliable, no-fuss toaster, this one is a winner. A high-end toaster with a built-in LED display, the Breville BTA840XL has one-touch controls, including a “bit more” option and a “lift and look” function. 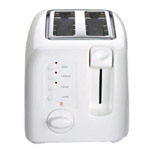 Completely motorized, the toast lowers itself down smoothly. The bagel setting gives you a crisply toasted top without burning the outside. A sturdy metal toaster like the classic ones from the past, the Cuisinart 4-Slice Metal Classic Toaster has wide 1.5 inch slots to easily handle bagels and thick artisan bread. The controls are as simple as can be: just press the button you want (defrost, reheat, bagels, and cancel), adjust the dial, and press the lever. Also, we like the high-lift carriage that prevents burning your fingers. A black 4-slice toaster with extra-wide slots, the Black & Decker T4569B has a mix of electronic controls and simple dials to make programming easy. No matter which slot you use, the toast comes out evenly browned, and with the bagel setting, the inside is crispy and the outside warm. Sturdy and reliable, this 4-slice toaster is also moderately priced at $49.99. A handsome stainless steel toaster that will look attractive on the counter, the Calphalon 4-Slice Toaster has four settings: toast, bagel, defrost, and reheat. The toaster works quickly with even results, and the carriage can be lifted up higher to make removing the toast easier. Each pair of slots can be set to different shades or settings, giving you more options. 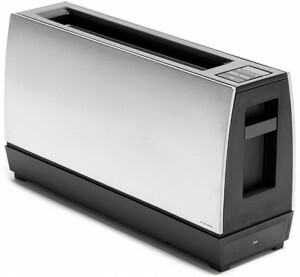 The Hamilton Beach 4-Slice Toaster has a rounded exterior that tapers at the top for a unique look. 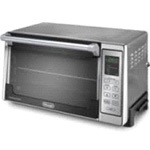 Each side has separate controls for bagels, defrost, and cancel. 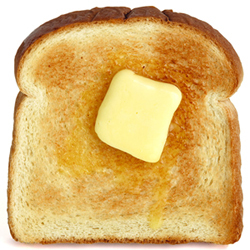 As for function, it browns toast to the selected shade with no problem. A nice safety feature is the automatic shut-off, and the slide-out tray keeps maintenance simple. No one wants to have to stick their fingers (or worse, a fork) down into the toaster slot to get that thin slice of bread out. Many toasters let you “boost” the toast up so it’s easy to grab with no burnt fingers. The difference with toasting bagels as opposed to toast is that you don’t want both sides browned, just the cut part. With a good bagel setting, the cut part is toasted while the other side is warmed, giving you a delicious blend of crispy and soft. Appliances are in competition for prime countertop space. If you want to keep your toaster out all the time, then a retractable cord or a hidden cord storage is ideal for keeping your counter free of messy-looking wires. This isn’t an essential feature, but it sure is cool. With a lift and look button, you can quickly raise the toast to get a peek at how it’s turning out. The toast then descends and continues its business. This can prevent burning and help you get the toast at that perfect shade. Yes, toaster crumb trays get filled up pretty quickly with toast remnants. Unless you want to be lugging the toaster across your counter to reach the crumb tray in the back or to shake it out over the sink, a front-access, removable crumb tray is best for cleanup.